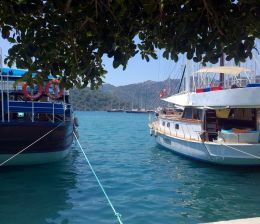 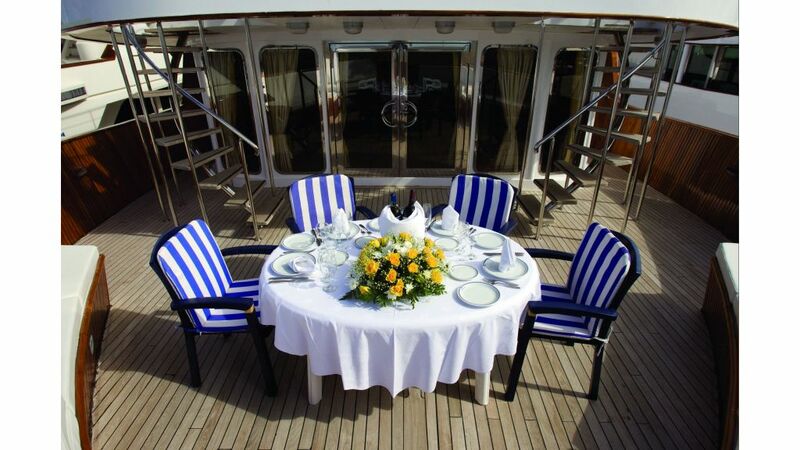 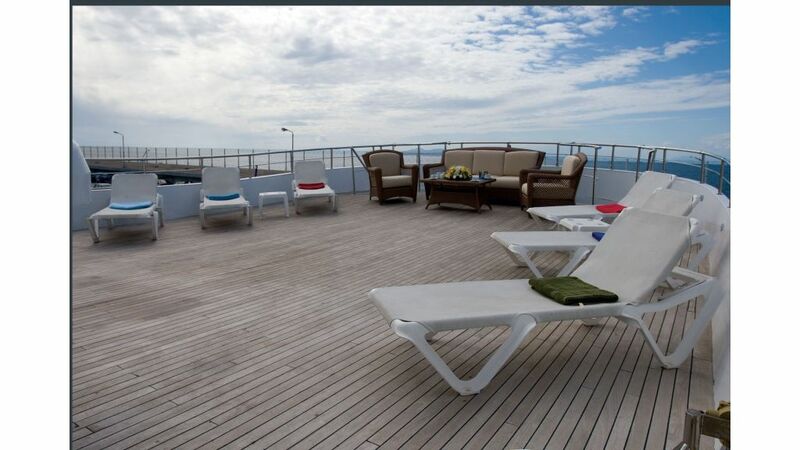 The Yacht accommodates 12 persons There are six spacious staterooms for twelve Guests. 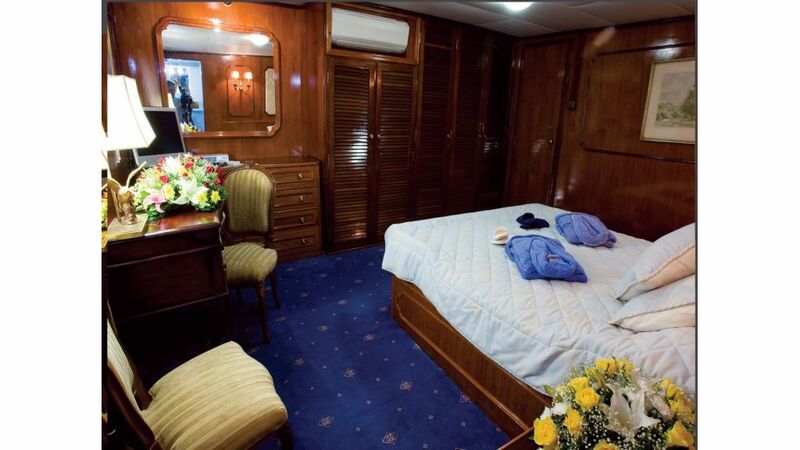 All the staterooms are totally rebuilt in 2008, and they are teakwood paneled with a Plasma T.V., a modern desk a wall safe and ample closet space. 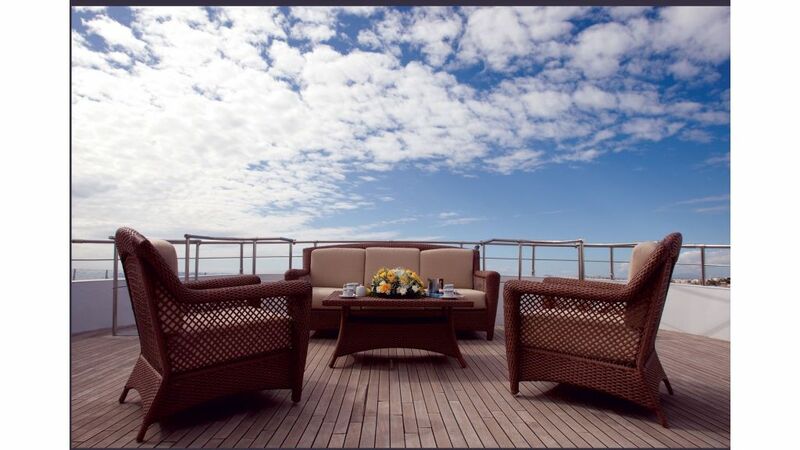 The Lounge Bar facilities on the main Deck, Totally reconstructed and Refurbished in 2008, with a Modern new Bar Card table, Plasma T.V. 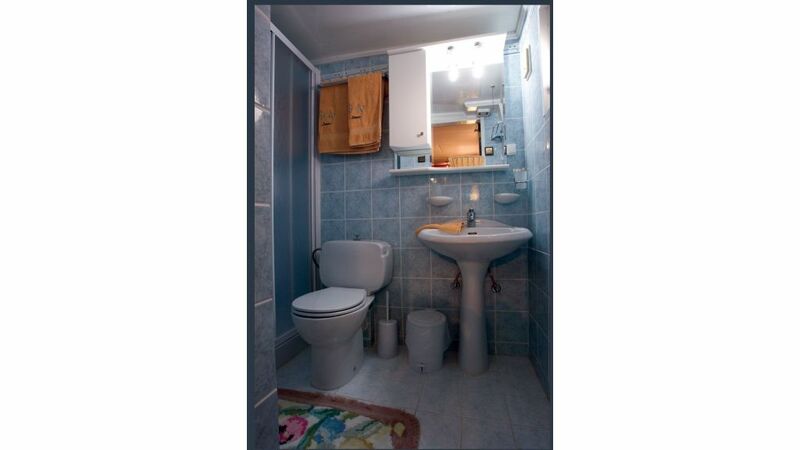 and a Piano. 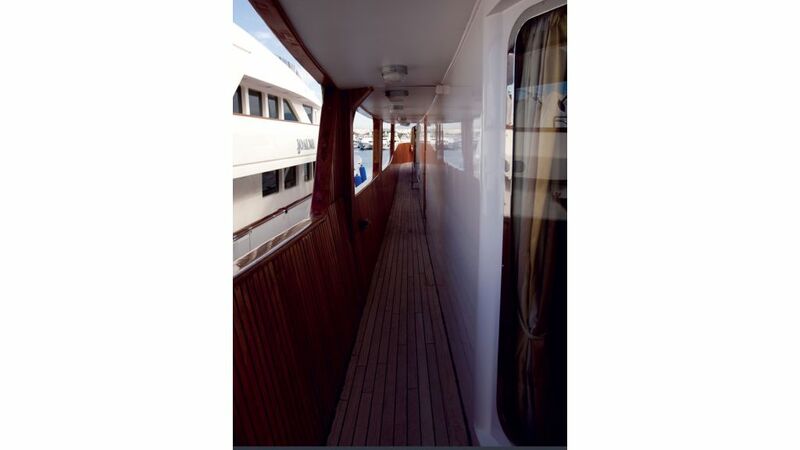 An internal staircase is leading to the Upper Dining Room. 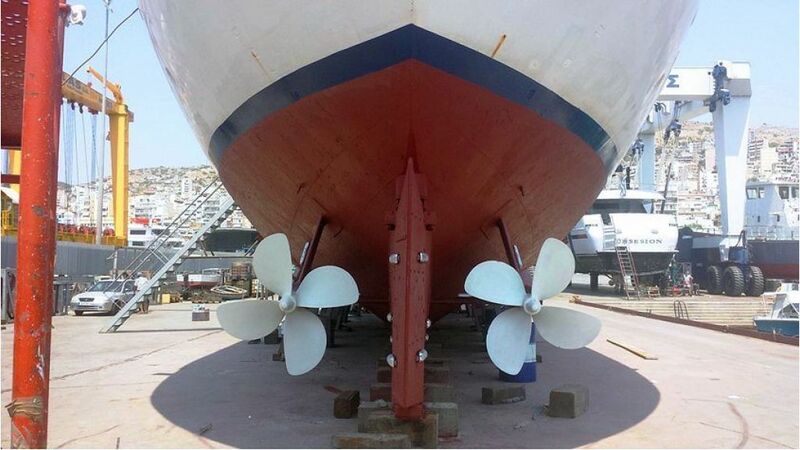 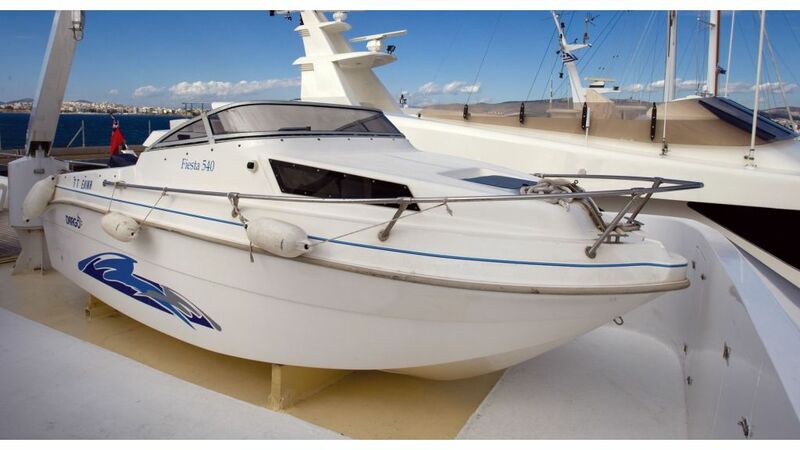 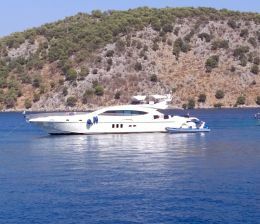 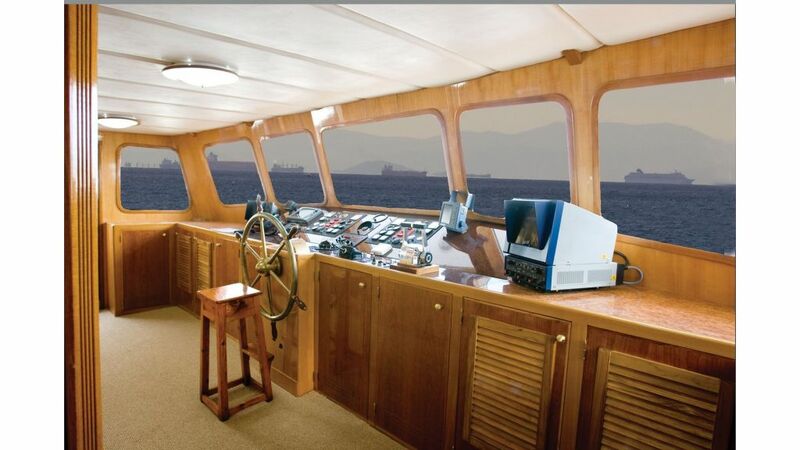 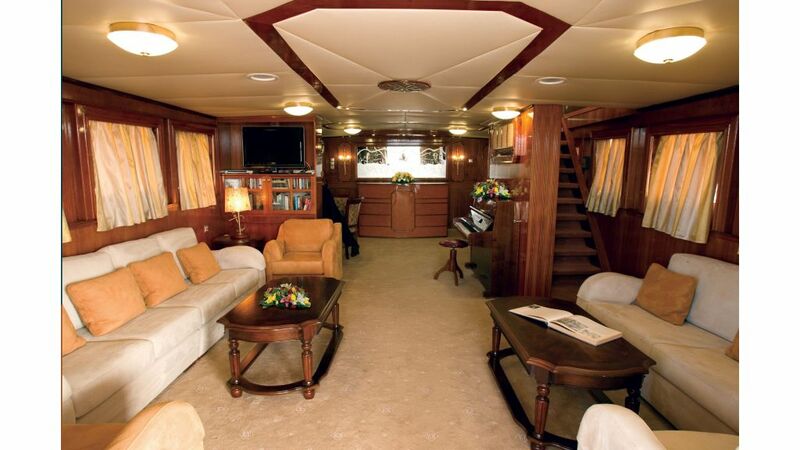 The Yacht is air-conditioned Individually controlled in each Room/Lounge/Dining room. 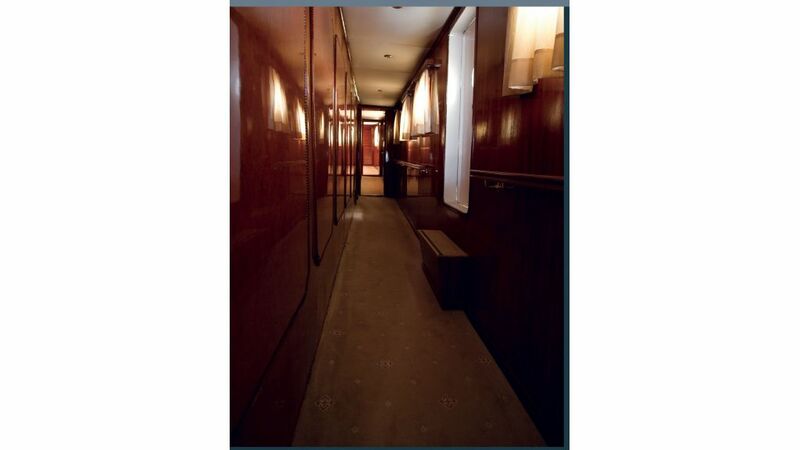 The Accommodation is carpeted throughout (2008). 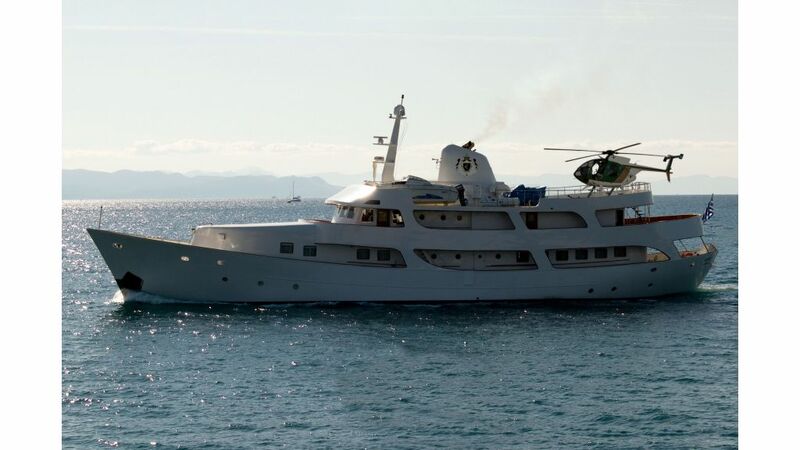 Helicopter base The top deck is a huge deck area properly constructed in 2008 and suitable for emergency helicopter landing. 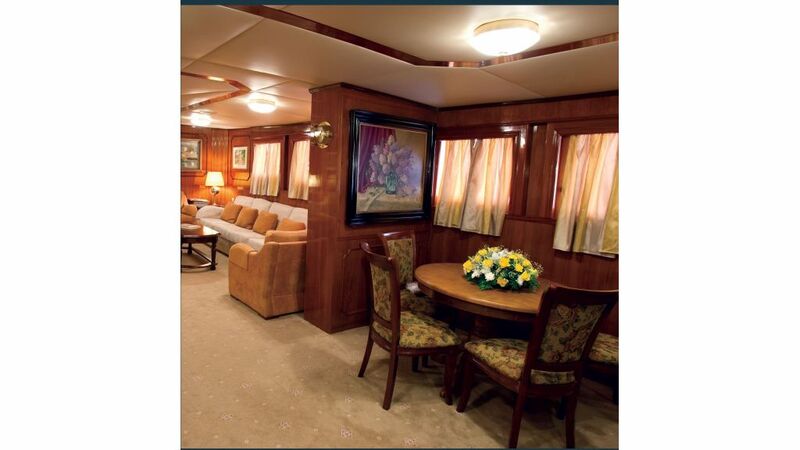 Most of the furniture is classic style and newly purchased (2008). 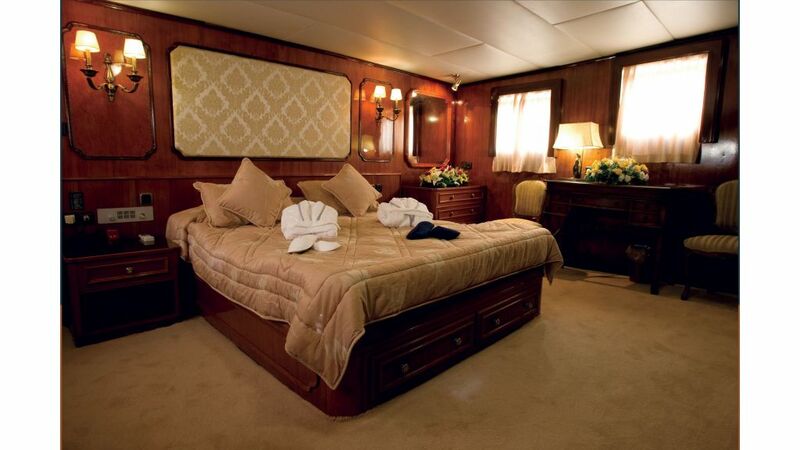 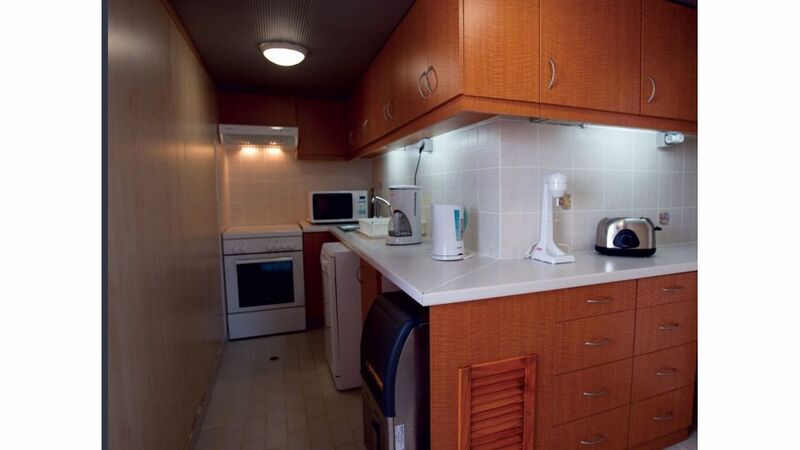 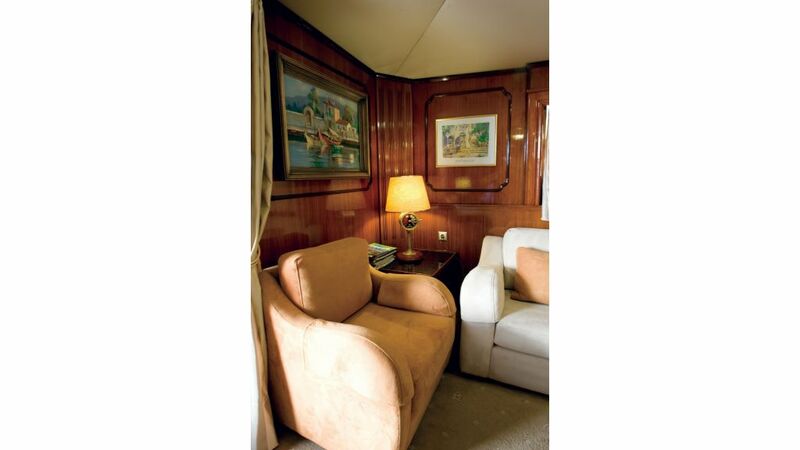 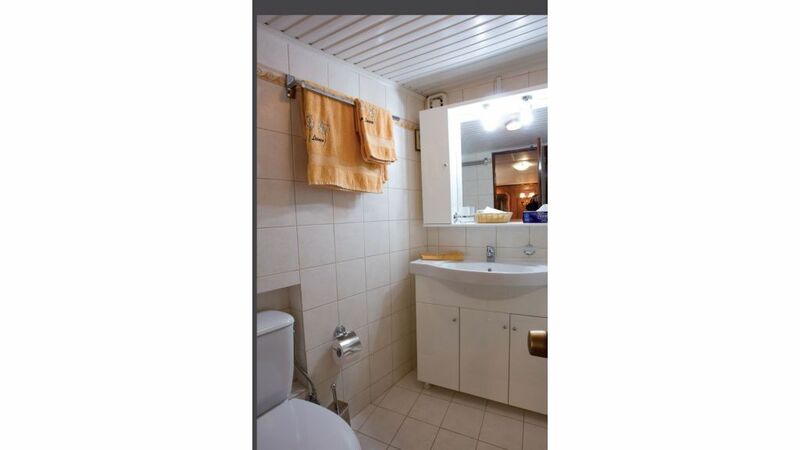 Separate very comfortable crew quarters for up to 12 Persons, with two bathrooms. 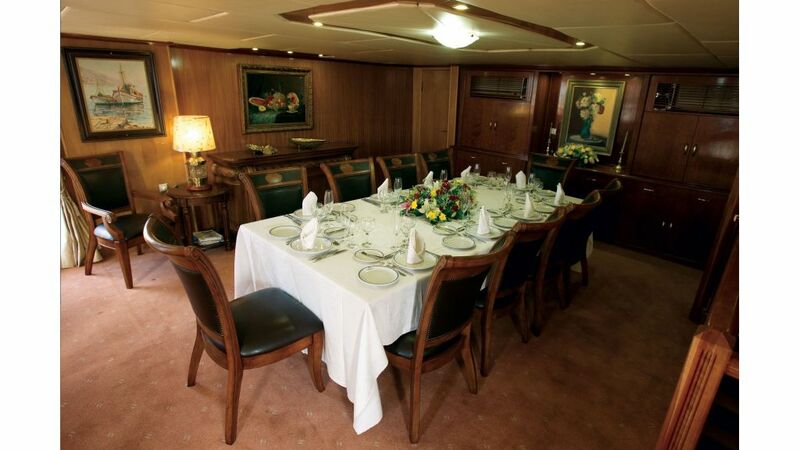 Also, separate crew Dining room. 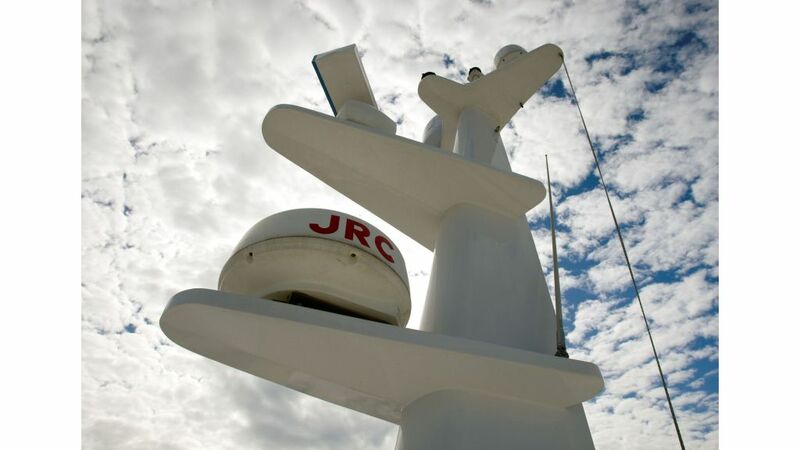 SAT T.V ANTENNA, SEA-TEL 24 E 2008. 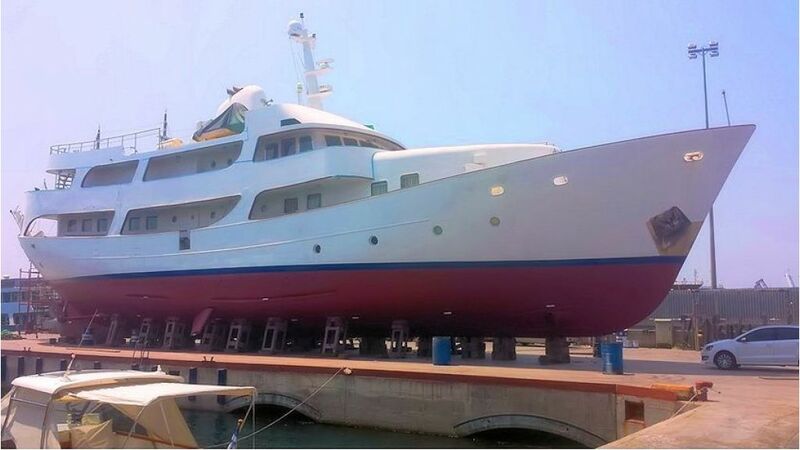 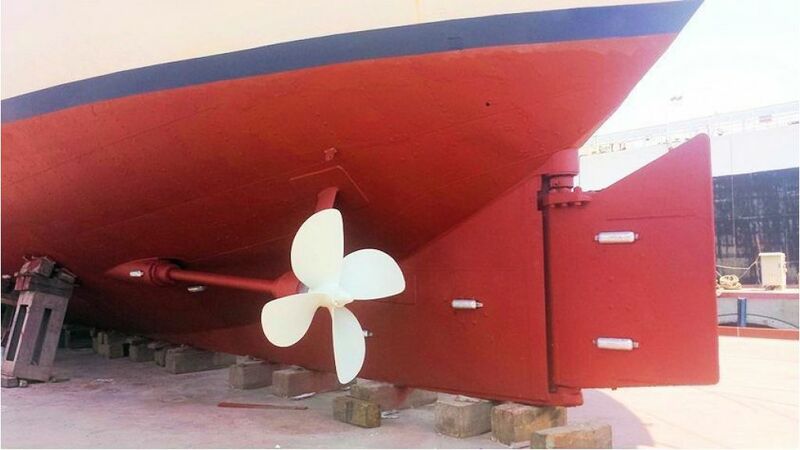 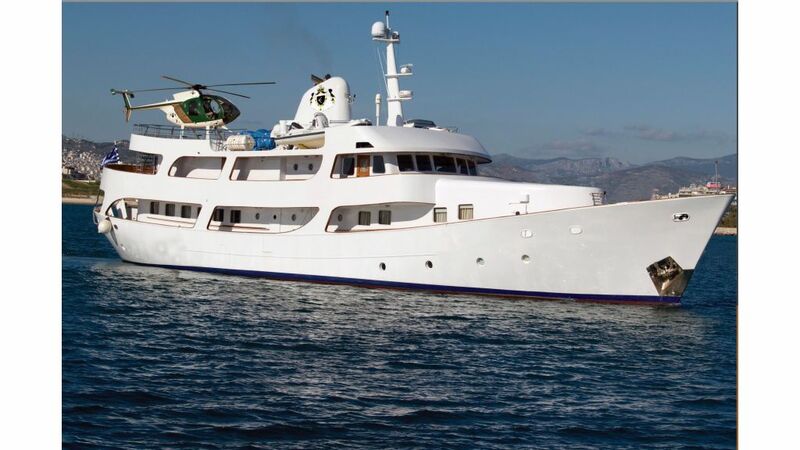 In short, this is a very strong , safe, comfortable and elegant yacht built at exceptionally high standards and also maintained at the Hellenic Register and Greek Merchant Marine class, fully rebuilt, refitted, refurbished completely repainted and internally polished in 2008. 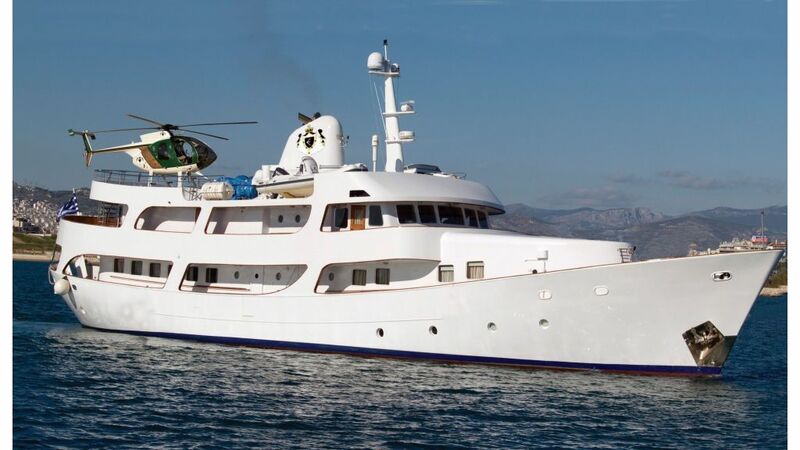 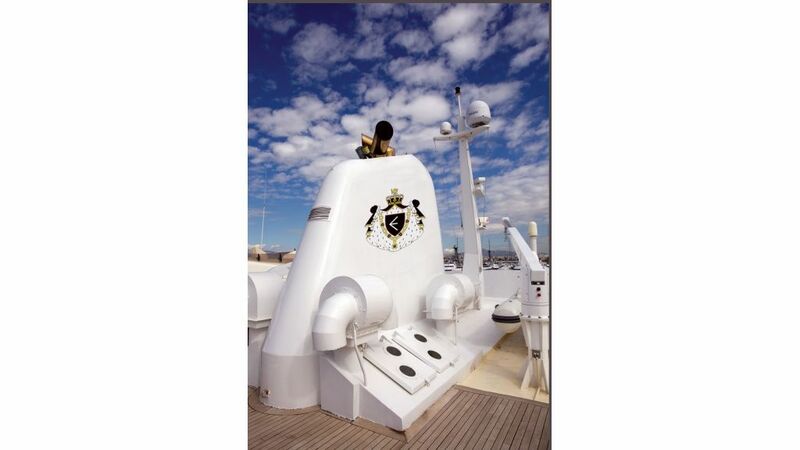 This yacht was custom made and constructed for the personal use of the Greek ship-Owner J .Goulandris under the name TRIAINA and she has hosted many celebrities.